The college's current policy is a compilation which includes the state law, the sections below on honorariums, federal grants and the state ethics board rules on use of state resources. The Ethics in Public Service Act (RCW 42.52) recognizes that "Government derives its powers from the people. Ethics in government are the foundation on which the structure of government rests. State officials and employees of government hold a public trust that obligates them, in a special way, to honesty and integrity in fulfilling the responsibilities to which they are elected and appointed. Paramount in that trust is the principle that public office, whether elected or appointed, may not be used for personal gain or private advantage. The citizens of the state expect all state officials and employees to perform their public responsibilities in accordance with the highest ethical and moral standards and to conduct the business of the state only in a manner that advances the public's interest." The Act combines the former Executive Conflict of Interest Act and various other statues that related to elected and appointed officials into one statute. The Act prohibits state employees from obtaining for themselves or their families any special privileges, exemptions or compensation, other than their salaries, that they would not be able to secure but for their employee status (with limited exceptions as specified in the Act). The Act also prohibits state employees from participating in transactions in which their judgment in official matters may be affected by circumstances of personal interest. 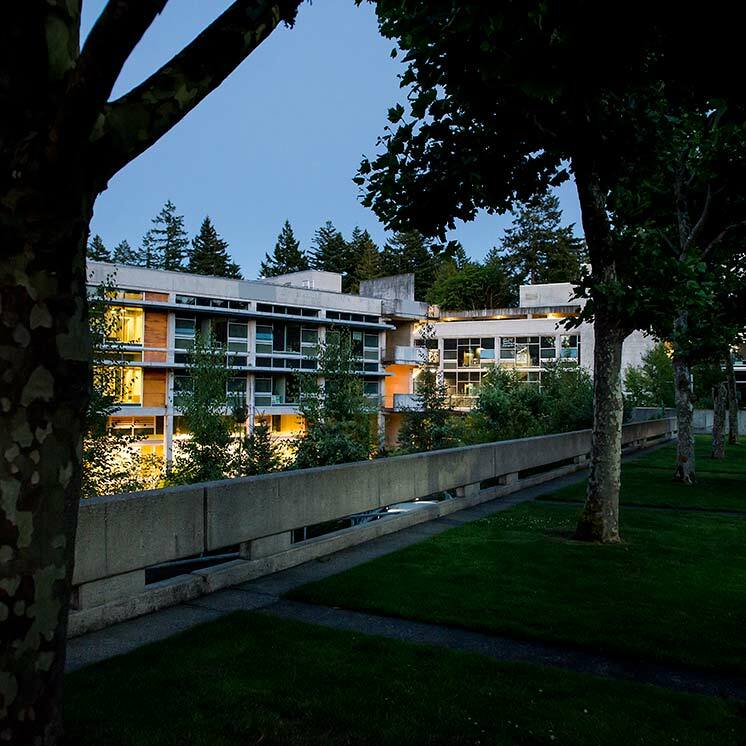 (d) The work for which you are being offered the honorarium is a regular part of your duties at Evergreen and has been already "paid for" by your salary. If you have any doubts about whether acceptance of an honorarium might constitute a violation of these statutes, you should consult with your vice-president or the College's ethics review committee. (ii) in entities whose financial interests would reasonably appear to be affected by such activities. Disclosure of these financial interests must be made to the Provost. (b) This disclosure requirement applies to any principal research investigator, co-principal investigator, and any other person at the college who is responsible for the design, conduct, or reporting of research or educational activities funded or proposed for funding. (ii) income from seminars, lectures, or teaching engagements sponsored by the public or non- profit entities. (d) Financial disclosures required in this policy must be made in writing on a form provided by the Provost's office. The principal institutional contact person for the grant proposal should ensure that a separate form is completed and signed by each person to whom the financial disclosure requirement applies and that these are submitted in one batch to the Provost. After the Provost signs the forms, they should be attached to the college s check-off form used to acquire signatures for institutional approval of the grant proposal. Approval will not be given without the disclosures. These must be updated one year later and every year thereafter if the period of the grant award exceeds 12 months, or as new reportable financial interests are obtained. (e) The Provost will review the financial disclosures. If he/she determines that a conflict of interest may exist, his/her determination will be reviewed by the College's Ethics Review Board. If the Board agrees that a conflict of interest exists, it shall determine what conditions or restrictions, if any, should be prescribed by the institution to manage, reduce or eliminate such conflict of interest. (vi) severance of relationships that create conflicts. (g) Institutional approval will not be given to any grant proposal where any person refuses or fails to provide a financial disclosure as required under this policy or refuses to accept the conditions or restrictions prescribed by the Ethics Review Board as a way of managing, reducing or eliminating conflicts of interest. In the case where a conflict of interest is revealed after grant approval or after the person concerned has received personal gain as a result of the external grant, the panel shall seek to eliminate the conflict of interest by requiring any of the conditions or restrictions enumerated above and by requiring the person concerned to reimburse any grant funds received. If any person concerned in this latter case refuses to follow the injunction of the panel, the panel will be obligated to make a formal complaint to the Executive Ethics Board of the State of Washington, as per RCW 42.52.360 and WAC 292-100-060. In such a case, the panel must also inform the granting agency of the conflict of interest. (h) The college must maintain records of all financial disclosures and of all actions taken to resolve conflicts of interest for at least three years beyond the termination or completion of the grant to which they relate, or until the resolution of any action by the grant source involving these records, whichever is longer. If you answered yes , explain on a separate sheet and submit it with this form. 13. Do you, your spouse or your dependent children have any financial interest in any entity whose financial interests would reasonably appear to be affected by the proposed activities? ___I have no reason to believe that a conflict of interest exists if the above-named person participates in the project proposed for funding. ___I have determined that a conflict of interest may exist if the above-name person participates in the project proposed for funding. I have or soon will refer this case to the college's Ethics Review Board to review my determination and, if its members agree, to prescribe conditions or restrictions to manage, reduce or eliminate the conflict of interest. You must complete and sign this form if you are an Evergreen faculty or staff member who proposes to participate in the design, conduct or reporting of research or educational activities financed by external grant sources. Each participant must sign a separate form. Please read carefully the college s Ethical Standards for Grant Applicants at the Evergreen State College before completing this form. If you are not the principal contact or director of the proposed project, please give this form to that person once you have completed and signed it; do not seek the Provost s signature. If you are the principal contact or project director, batch the completed and signed forms of all the participants and submit them to the Provost for review and signature. Once you acquire the Provost s signature, make sure that the forms are attached to the Project Proposal Check Sheet which must be used to acquire signatures for institutional approval of the proposed project. The signature of the Provost on this form clears the way for other college administrators to consider approving the proposal based on their respective criteria. The Provost s signature does not necessarily mean that a conflict of interest, if the Provost determines that one may exist, has been managed, reduced or eliminated. While it is preferable that this be done before the proposal is submitted, in many cases it will not be possible to do so. In those cases, the required management, reduction or elimination of the conflict must be accomplished before grant moneys are accepted or disbursed. The Provost should retain any explanations submitted by applicants to items 12 or 13; these explanations should not be attached to the signed form, which the applicants will attach to the Project Proposal Check Sheet. These explanations are for the information of the Provost and, if necessary, the Ethics Review Board. Email and Computer Usage by Faculty and Staff Email is made available to College faculty and staff solely for the purpose of facilitating effective business operations. Regulations promulgated by the Washington State Executive Ethics Board place significant constraints on non-College related use. Under those regulations, employees may use College-provided email for personal communications in a manner comparable to what is allowed for personal local use of College telephones. Does not compromise the security or integrity of state property, information or software. State law continues to prohibit the use of College computers to access computer networks or other databases, including the Internet and electronic mail, for personal business-related, commercial, campaign or political purposes, or to promote an outside business or group or to conduct illegal activities. Additionally, employees are prohibited from allowing any member of the public to make personal use of state computers and computing resources. Email and other uses of College computers may constitute an Ethics violation if the use is political, commercial, or excessive. Examples of improper or excessive use are included in the FAQ's maintained by the Executive Ethics Board. It is important to recognize that while limited personal use of email may not result in an Ethics violation, all email messages -- like voice mails-- are public records and are subject to public inspection under state public records laws. The following are provided as clarifying statements to assist faculty and staff in determining the potential for conflicts of interest and ethics violations before they occur. They are not meant to be all inclusive and each member of the community is expected to be familiar with RCW 42.52 which is in the RCW Appendix to this policy. In any case where there is a question, consultation with the appropriate supervisor or review board is strongly advised. (a) RCW 42.52. Stipulates that in matters related to the requirements of the job, employees may not receive anything of economic value other than their compensation form the state of Washington, unless otherwise provided for by the Ethics in Public Service Act. Guideline: College employees may not accept stipends, consulting fees, honoraria or remuneration other than their salaries for services they perform as a part of their employment with the college. (b) RCW 42.52 states "no state employee may employ or use any person, money, or property under the employee's official control or direction, or in his or her official custody, for the private benefit of the employee or another." Guideline: This provision prohibits College employees from using College facilities, equipment, funds, staff, services, or other resources, including the College's name, for private gain. For example, a faculty member cannot ask a program secretary to type a consulting report to a private corporation or use college letterhead. A staff member cannot use college laboratory equipment to do tests for a company with which s/he has made a private consulting arrangement. To the extent to which, in the normal course of business or academic work, college facilities are used which later result in a benefit accruing to an individual through the sale of intellectual property, the College's Copyright and Patents Policy protects the individual's and the state's interests. (i) Write books, pamphlets, articles, and papers, create audio visual materials, design or produce computer software and inventions. (ii) Serve on boards or commissions, including government agencies, granting-agency peer-review panels, advisory groups, professional societies, editorial boards, conference committees and community organizations. Appointment to these activities should generally be discussed with, and/or approved by a supervisor. (iii) Employees might pursue a variety of endeavors for financial profit ("moonlighting") that are not directly related to the person's college responsibility. These efforts are part of the employee's private life and do not come under college regulations so long as they do not interfere with the employees ability to perform their duties. (c) RCW 42.52 states that "No employee may be beneficially interested, directly or indirectly, in any contract, sale, lease, or purchase that may be made by, through, or under the supervision of that employee." (i) Employees may not receive royalties from the sale of their work if they are directly or indirectly involved in the selection of the materials and students are required to purchase them. (ii) Employees may not receive revenues from the sale or rental of their work if they are directly or indirectly involved in its selection and if it is being purchased or rented with college state funds. (iii) Employees may not receive royalties or other revenues from the sale or rental of their work for general college use (by the library or any other division) if they are in a position as a state employee to authorize the rental or purchase. A program team decides to use Faculty Member A's book in its program. Faculty member A is not a member of the team and has no decision making authority related to the choice of materials for the program. A campus organization decides to rent a film made by a staff member B. B is not a member of the organization and is not responsible for selecting the film or authorizing its purchase or rental. (iv) The college recognizes that its faculty might legitimately assign materials they have produced in their programs. In such a case, it is up to the employee to make arrangements to forgo royalties on the copies purchased or rented by his/her students. In the case of the sale of self-published materials, only actual out-of-pocket expenses may be recuperated by the college employee. Verification of expenses will be required for any reimbursement. The employee may not receive remuneration for costs such as their time in producing the materials. The faculty and staff of an educational institution are expected and encouraged to develop themselves as scholars, artists and service providers in their appropriate areas of expertise. In the process of developing that expertise they produce a variety of activities and materials that benefit the college community. In addition the college believes that its educational mission can flourish only when sustained by the continuous, active participation of its employees in a variety of activities both on and off campus. These activities offer opportunities for professional growth, contribute significantly to public welfare, and otherwise enhance the value of the employee's service to the college. These professional activities may pose a conflict of interest if a college employee's outside activities interfere with his or her college obligations, whether or not there is personal gain for the employee. (see RCW 42.52, VI-A -11 and the Faculty Handbook (section 6.600 and the Faculty Reappointment Policy - Section 4). Ethics training is required of all new classified and exempt employees within 90 days of being hired. This training is provided by Human Resources and is part of the mandatory training agreed to in the College's Union contract. This training is required every three years there after.